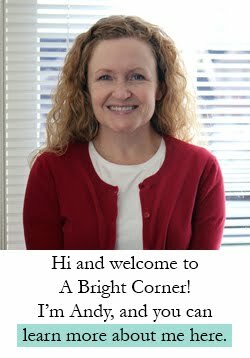 A Bright Corner: Cascade Blog Tour + a giveaway! 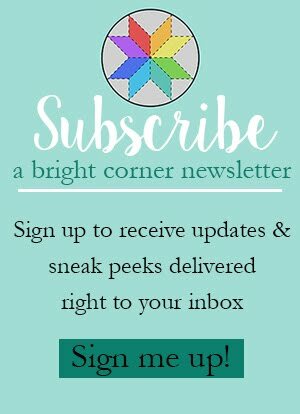 Cascade Blog Tour + a giveaway! Hi friends, and welcome to those new readers that are visiting from the Cascade Blog Tour! 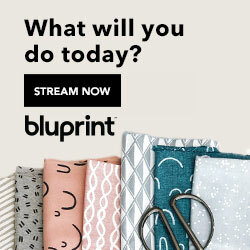 I’m happy to be a part of the Blog Hop for Jessica Levitt’s new fabric line called Cascade (Windham Fabrics). Jessica’s inspiration for this line was the many colors and forms of water. The name of it instantly reminded me of the Pacific Northwest where I grew up. The Cascade mountain range is filled with such beauty- vast forests, rivers, waterfalls, lakes- and many, many bodies of water! You can read more about Jessica’s inspiration as she created this line here on her blog. I really enjoy hearing every designer’s inspiration and thought process as they create a new line. So interesting! I had the chance to work with some of the fabrics to create a table runner for Jessica’s quilt market booth. Aren’t these lovely? The table runner I created is made up of just four blocks from one of my newest patterns. The quilt pattern is called “Division” and will be available for purchase later this week. I’ll be talking more about Division in my next blog post. Here’s a pic of the second topper with the straight line quilting. This photo below is from the Cascade look book, where you can get a good look at more projects using Cascade fabrics! To see the whole collection, visit the Windham Fabrics site here. 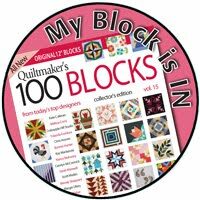 Be sure to visit the other stops along the blog hop and check out the fun projects that others have made with Cascade! Giveaway time! 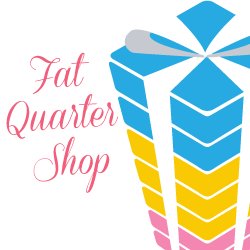 Windham fabrics is giving a fat quarter bundle of Cascade to one of my lucky readers! To enter simply leave a comment below - just one!. I’d love to hear what your favorite body of water is. Do you have a favorite local lake or river? My current favorite is a spot called Bridal Veil Falls here in Utah. Simply gorgeous – all year ‘round! The giveaway will close at midnight (MST) on Tuesday, October 21st. If you’re a no-reply blogger be sure to leave an email so I have a way to contact you if you win! I'll draw the winner using a random number generator and announce it here on Oct 22nd. Good luck! And thanks for stopping by! edited to add: Giveaway is now closed - thanks for entering! Beautiful! I love Lake Michigan. Growing up in MI, and having lived in many places, I still haven't found a place I like better! Thanks! The water around the British Virgin Islands! Went once and I've dreamed of going back. Interesting question...not sure I've ever thought about what is my favorite body of water! There is a place in southwestern Virginia called Cascades that has a lovely waterfall and a stream through the woods. My husband, son and I have hiked there many times and enjoyed it. The River Spey here in Scotland meanders through the countryside and is beautiful at all times of the year (and it provides plenty of salmon!). Love the Pacific Ocean just north of Sata Barbara and miss it so much. Your topper is beautiful. Thanks. I love both runners! I also love Flathead Lake in Montana. Thanks, Andy. I live on the banks on the river Severn - home of one of the largest bores (tidal waves) in the world! People come from miles around to witness it and some brave souls surf it! I live in Michigan ---- I love the Great Lakes and the different looks they have in the different seasons. We don't have a lot of water around here... but I do love the beach! We honeymooned in Cancun and I have family in St. Pete. Both had such gorgeous sandy beaches! The Snake River---- it is so true to life sharing its rapids and calmness as it discovers the different states which it travels. Since Moving to San Diego 3 years ago, I would have to say that the Pacific Ocean is pretty amazing. I grew up along the Puget sound. Spending the day hopping around the islands was always a treat. HI, it is Flathead Lake in Montana! I live at the coast near Charleston, SC. We have nothing but water around here! My sister has a cabin on Horseshoe Lake. I love it there, but don't get to visit often. I am a huge fan of visiting Sleeping Bear Dunes on Lake Michigan. It is only a few hours drive away and makes for a great vacation spot! I love the ocean! There's nothing like the peaceful sound of the waves. I was raised on a Beach, Surfside Texas, its not the fanciest but I love going backe every year. I wish to retire close by..
As a west coast island dweller, it's all about the Salish Sea here. Can never get tired of the Pacific Ocean! 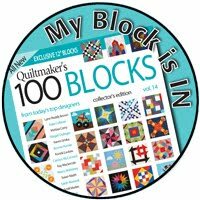 I love the pattern for your table topper and both quilting versions are awesome... I really can't decide which I prefer!! Lake Superior is my favorite lake, we live nearby and travel along it whether we go east or west and the scenery is breathtaking on our Canadian side!! That is beautiful Andy! Fun pattern! I grew up in Washington and California so you'd think I'd love the ocean but since I'm terrified of sharks I'm kind of terrified of the ocean - LOL! So for now I'll say that I love Troy Lake (I think that's what it's called :) in Montana where my sister owns a Lakehouse. Nice and calm and no enormous scary sea creatures to be concerned about! Haha! Our house is just 5 min. away from Lake Lanier which located at North Georgia area. Lake Lanier is my favorite lake because there are lots of fun activities you can do not only on the lake but also off the lake; they’ve built many parks around Lake Lanier that allows activities like picnic, swimming and camping. My favorite water spot is Topsail Island, NC, and the Atlantic ocean. Your table toppers are beautiful! Spent 6 days kayaking in the Johnstone Strait off of Vancouver Island, Bristish Columbia in September. Beautiful blue sky days with clear water and beautiful forests. Saw Dolphins, humpback whales and orcas too. So that's currently my favorite body of water. My favourite body of water is Lake Superior. I live in NW Ontario, so get to see it every day. Gorgeous! Lovely fabric. My favorite body of water is the Pacific Ocean. Beautiful! My favorite body of water is Lava Lake outside of Bozeman, Montana. I love all of the little lakes on the Wyoming side of the Beartooth pass. So beautiful, as is this fabric! The colors in this bundle are glorious together! My favorite body of water is the Mississippi River, I live just a mile from it and cross it very often to get to Illinois or Wisconsin. It's the Mighty Miss! I like both of your table toppers! Thanks for sharing them. This fabric certainly is gorgeous. I love any kind of water, but especially the Pacific ocean off the coast of California. I love that you got to make this! What a great pattern and fun new line. My favorite body of water is probably the Great Salt Lake. It is smelly and icky. But it is near where my Grandma lives in Tooele. I adore my Grandma. The last time we were at the Great Salt Lake, we took a picture with my sisters and their families. Aaah. Good memories. I live in the MO Ozarks and as much as I love the ocean, I would have to say my favorite body of water would be our local Northfork River. I love Hamlin Beach on Lake Ontario. It's so peaceful. You posed a hard question. I love the Pacific Ocean, and spent college years in Santa Barbara, but recently love mountain streams. The Red River in MN. Thanks for the chance. I love Fishlake in UT. Love your table topper! My favourite body of water is right outside my door. I live at Sandy Beach, a small lake in Alberta. Thanks! My favorite body of water is the Pacific Ocean, specifically the part that crashes up on the beach of my hometown, Huntington Beach, CA. I love the Caribbean! We went to Costa Rica and Mexico a bunch when I was a kid, and I love the beaches there! I love bridal veil falls too! But I'd have to say my fave is the beach/ocean - since moving to georgia we go to the destin Florida beaches! I used to love Sitting Bull Falls in New Mexico. I live in the Great Lakes basin in Southwestern Ontario Canada so Lake Erie is my fav, I'm about a 15 minute drive from it. I live right near Lake Erie so I'd say the whole great lakes grouping is my favorite. I want to make a quilt of them some day soon. My favorite body of water is a hot relaxing bath to soothe my acing joints and muscles; especially after I have been to my other favorite body of water which is Lake Superior. not sure i have a favorite, but my dad & I have this thing about touching the water when we travel so i've put my hand into a glacier waterfall in iceland, loch Ness and some other fun spots! Waterfalls are awesome but I really love swimming in the ocean waves, anywhere the ocean is warm enough! My favorite is a quiet creek behind our land we recently sold. Now we have a river at the bottom of our hill but you can't really get to it to enjoy it. I love the Susquehanna, we live near it and often drive past it. I live close to (and love) the Pacific Ocean. So much power and life in there! I'm a Michigander so I love the Great Lakes! This is a beautiful line of fabric! Thanks for the chance to win! Tough question but I'll say the Pacific Ocean. Thanks! We live near the Tennessee River with Wilson Dam nearby. A pretty body of water especially when the spillways are open. I love all the lochs in Scotland, especially Loch Lomond. Ooh! I grew up close to Alki beach in Puget Sound and I go back there regularly to walk along it (and eat fish and chips!) Thank you so much for the giveaway! I live in BC and we also have a Bridal Veil Falls just outside of Vancouver. The Falls are very beautiful and a great tourist attraction. I love Lake Superior in Michigan! Thank you! I live near a forest with a quiet little water hole we call Cold Springs. It is a beautiful place to horseback ride to. You can even drink the water as it is a ground source spring. So refreshing and cool. I love the sea, so warm and in places as calm as a pool. I love the ocean at Misquamicut Beach in RI. 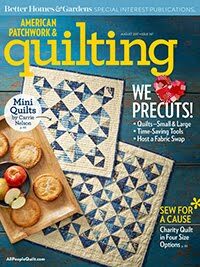 Love your quilt and new pattern! The pacific ocean off the island of Maui just beautiful. I do hope to go back there one day. Thanks for change to win. I just LOVE your new pattern. I am buying it tonight! AuSable River in Michigan, just gorgeous! I love Puget Sound! I enjoy hearing the fog horns in the fall and winter. Love Lake Erie here...but favorite water to see..... was when we visited our Daughter in NC...& she took us to Emerald Ilse to see the Ocean!!! AMAZING!!!! was my first time to see...will never forget the Beauty of the Sun shining on alllll that water! GORGEOUS! Anywhere in the Med around any of the Greek Islands. Heaven!!! I love the Gulf of Mexico, especially the St. Petersburg beach. I love the Caribbean Sea, the turquoise sun drenched waters. I really love the Caribbean waters. I went to a small island in the Caribbean for a vacation and fell in love with the water and beaches. I have to agree with others and say the Caribbean. It's so beautiful and close to home! I love the ocean in Phuket Thailand. There is no word to describe that blue. LOVE IT!!! My favorite lake is right here in Missouri, Lake Stockton. The clearest and cleanest water ever. Offers great boating, fishing, swimming, diving and a lot of other enjoyable times. May great memories for us. I love any river because of the sounds of the water flowing over the rocks. I love the Pacific Ocean on the northern Oregon coast. Thanks for the giveaway! I've been to Bridal Veil Falls! It's soooo beautiful! My favorite is Lake Washington, it's so big and beautiful! I love going there especially when it's nice and sunny! The Indian Ocean off the west coast of Australia...gorgeous! What a beautiful table runner! We live by the Mississippi river and that is my favorite! We live near the St. John's River in Florida but we also live close to the beach......both are favorites! I love our neighborhood Lake Blackshear here in Cordele, Georgia , its got the best catfish ever in it ! It's far from local, but I love the Pacific Ocean. I would pick Lake Tahoe. Just gorgeous there!